The Head of Marketing of GSK Consumer Nigeria Plc, Kerry Alexander has reiterated GSK’s commitment to the healthy growth and development of children in Nigeria. She mentioned that GSK will continue to manufacture world-class products that offer the requisite nutrients necessary for the physical and mental development of young children in Nigeria. 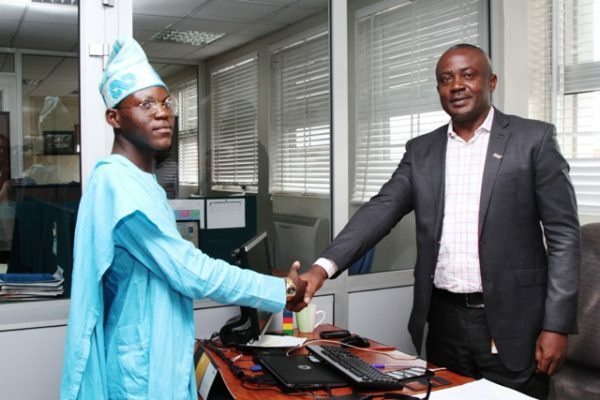 Kerry Alexander gave this assurance during the visit of the 2015 One-day Governor, Idowu Sonoiki, to GSK Nigeria’s Corporate Head Office in Ilupeju. 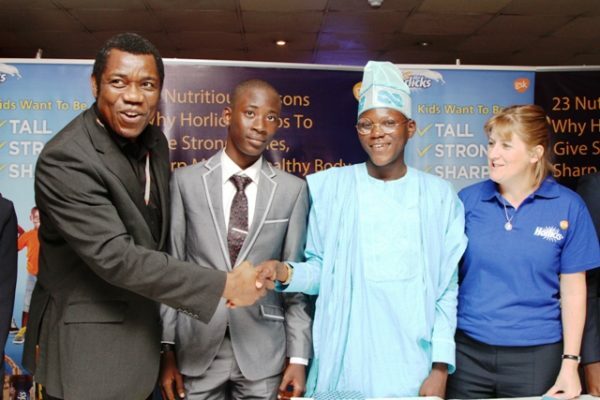 Sixteen-year old, Idowu Sonoiki, of Ikotun Senior High School, Ikotun, Lagos, emerged the overall winner of the 2015 Lagos State Spelling Bee Competition sponsored by Horlicks. 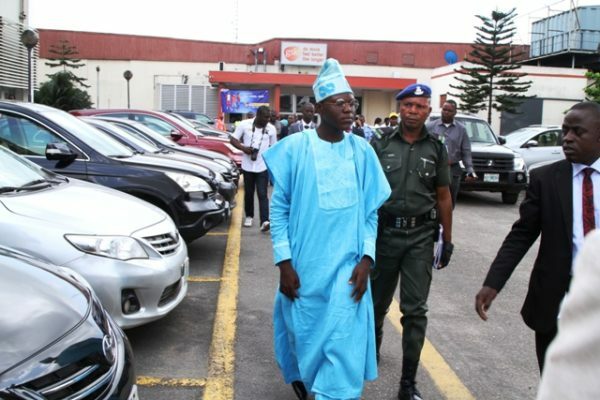 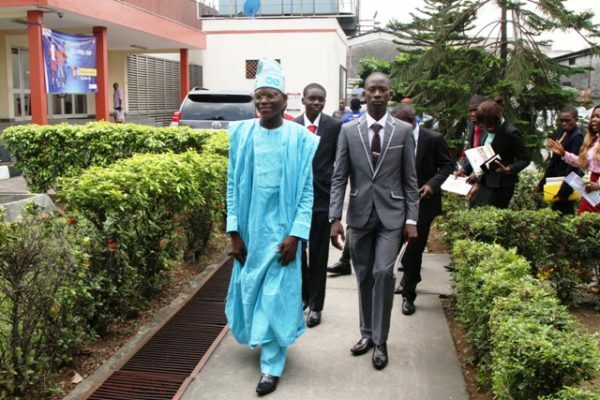 In addition to playing role of One-Day Governor, Idowu Sonoiki also received a cash reward and other gifts. 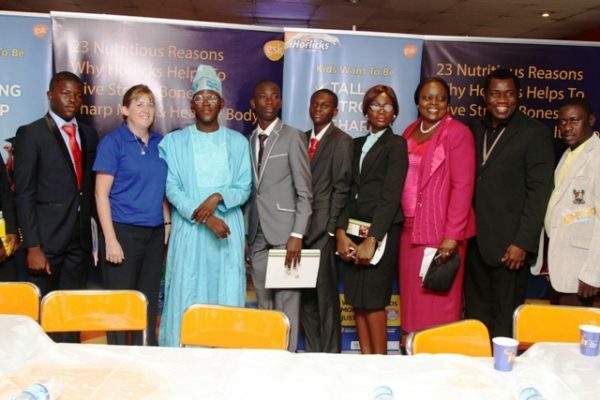 “For us at GSK, our purpose is help people do more, feel better and live longer. 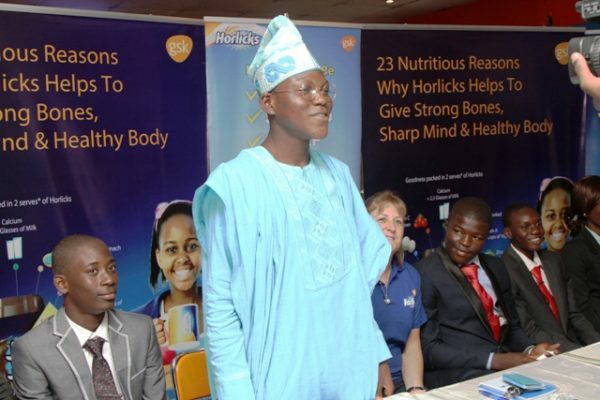 This is true with our Healthy Food Drink, Horlicks, which contains 23 vital vitamins and minerals designed to fill the gap in children’s diet” Alexander said. 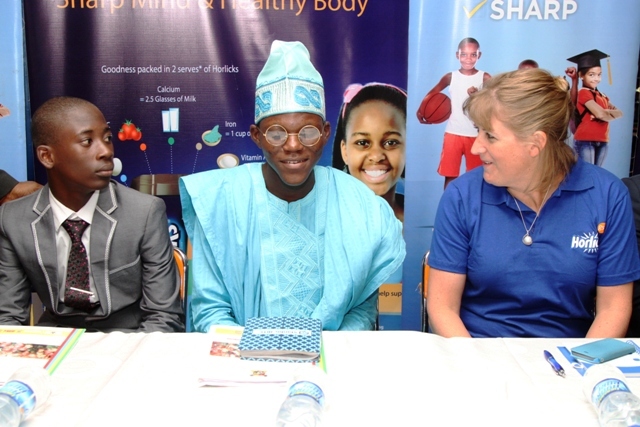 The Spelling Bee Competition involves pupils from over 300 primary and secondary schools in Lagos State. 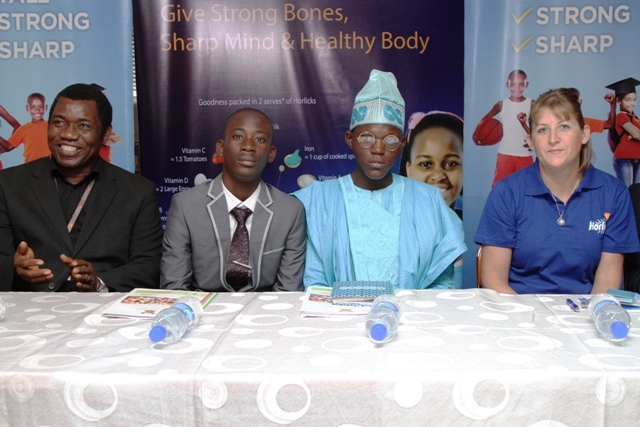 The Competition is aimed at improving their vocabulary and self-confidence and creating a solid foundation for academic excellence in their development. 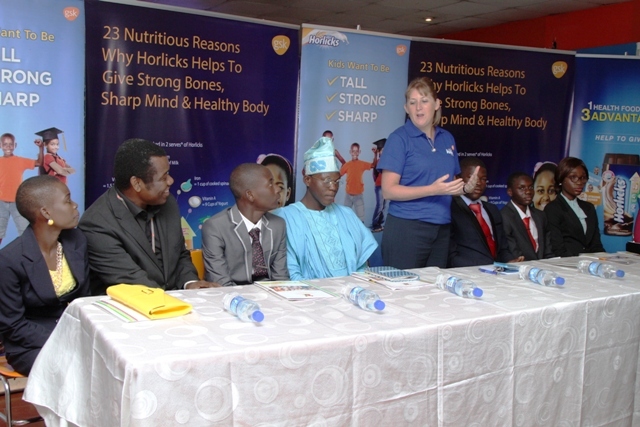 Explaining the Horlicks partnership in sponsoring the Spelling Bee Competition, Bimpe Osanyintuyi, Senior Brand Manager, Horlicks, said that there is a need for every child to take in vital nutrients to help them grow tall, strong and sharp. 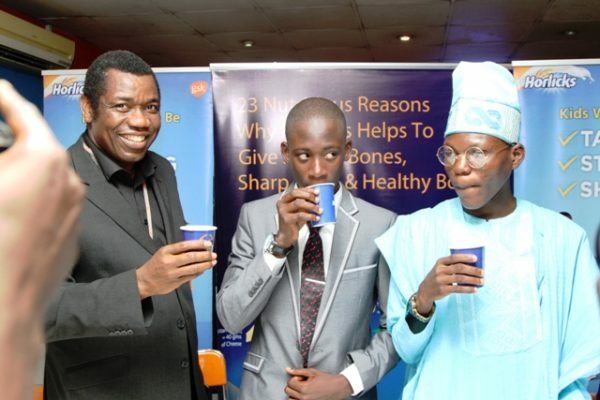 “The emergence of a One-Day Governor and his visit to GSK, drives home the fact that with the right nutrients, which a brand like Horlicks provides, Nigeria can boast of a future generation with brighter minds“, Osanyintuyi said. 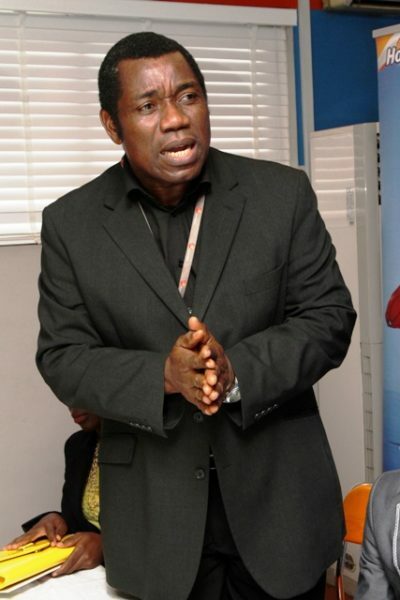 In his comments, the One-Day Governor, Idowu Sonoiki thanked the Management of GSK Nigeria and appealed that they do not relent in their quest to improve the lives and well being of children in Nigeria. 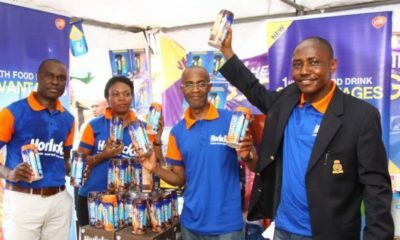 “I am very grateful to Horlicks for the support both financially and morally all through the stages of the competition. Your support and encouragement has made it possible for a Nigerian child like me to achieve the tall ambition of representing all aspiring students, friends and colleagues, in the role of Governor of Lagos State even if it is just for a day. 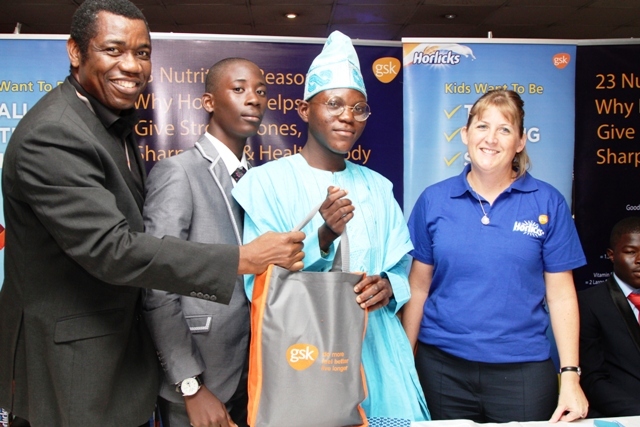 I want to appreciate GSK for promoting wellness and good nutrition in children. With a product like Horlicks, GSK has made it possible for the average child to live healthy and grow strong with a very sharp mind” Sonoiki said.